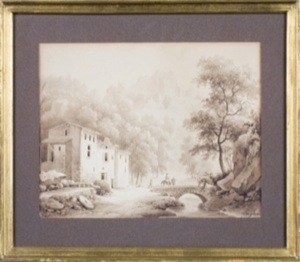 Moutaineous Landscape with a Bridge over a River, Signed, lower right. 13 3/4in. (35cm.) high, 10 3/4in. (27.3cm.) wide (including frame).